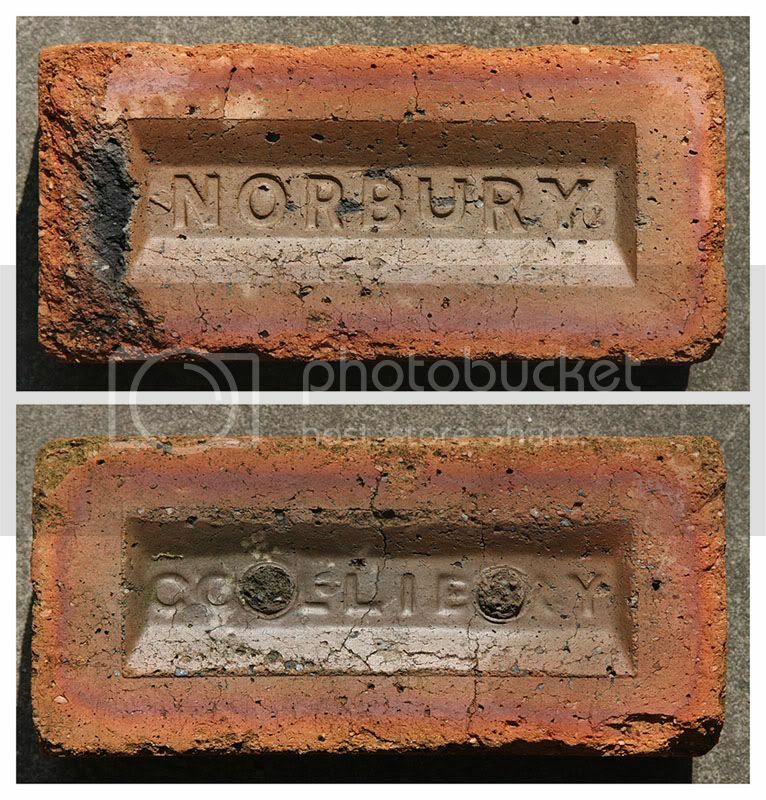 Over thirty years ago I spotted a Norbury Colliery brick being used to weight down the newspaper colection outside our local church hall. I vowed to return to photograph the brick, but when I did it was gone! Since then I have searched everywhere without success for another example, until last night .................... Out mooching with n10694 and his lad I spotted a lonely looking brick under a hedge and stooped for a look. Lo, it was the long sought Norbury and shortly after it was winging its way to Tarboat Towers in the n10694mobile. Norbury Colliery was worked by the firm of Clayton and Brooke from the 1830s through to its closure in 1892. 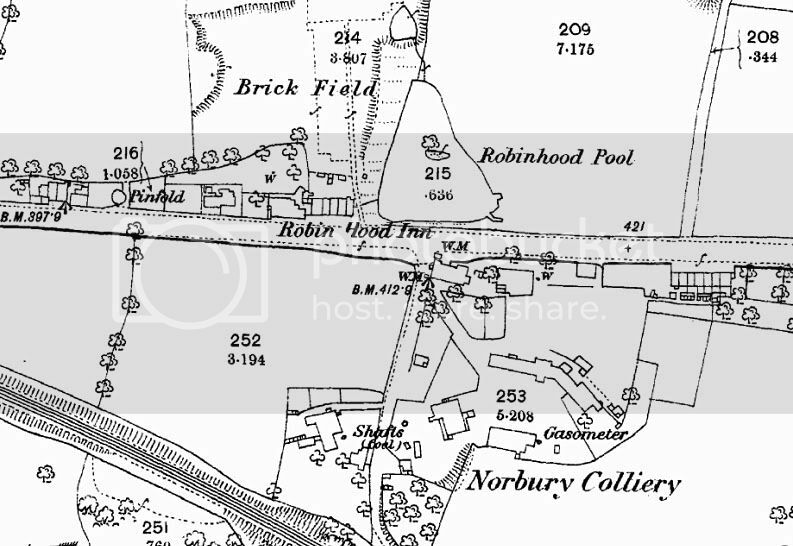 The shafts were situated at a couple of locations alongside the A6 between Hazel Grove and High Lane, with the brickworks in the field to the back of the Robin Hood pub. 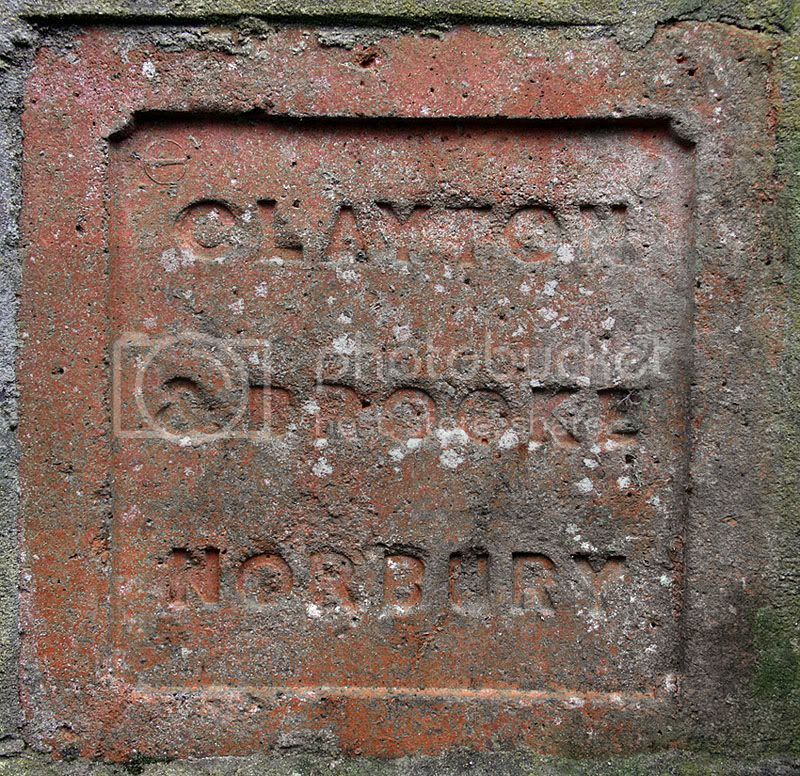 As far as I can tell brick production ceased with the colliery, so this brick must be pre-1892. An earlier example from the same works, this one is a square paving type brick.